The positive potential of youth should matter to Australia, if for no other reason than on the numbers. Just over half the world’s population under the age of 30 live in Asia Pacific and South Asia, and globally almost 90 per cent of young people live in emerging economies in the global south. Despite the fact that young people disproportionately bear the consequences of conflict, forced displacement, climate change and risks of radicalisation, policy-making has historically ignored young people’s productive role in combatting these issues. Instead, when policy does acknowledge young people, it tends to reinforce limited stereotypes about youth: that they are helpless victims waiting to be saved or that they present a potentially uncontrollable risk. While some youth do engage in violent or extremist behaviour, this is not reflective of the vast majority of young people who cope with life in insecure and violent contexts and actively work to make change. 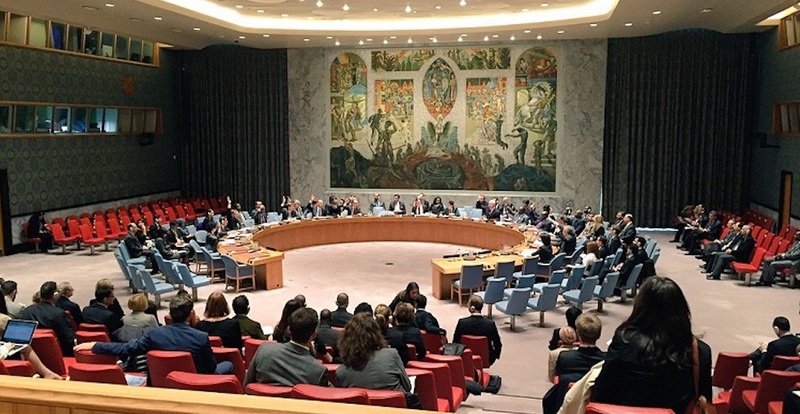 At an international level this is being increasingly recognised with a UN Security Council Resolution in 2015, and follow up actions including a Security Council open debate on Youth, Peace and Security (YPS) that occurred earlier this week. Despite this growing international attention, Australia’s approach to regional peace and security continues existing trends when it comes to ignoring or dismissing young people’s potential. In the last decade, the former policy inattention regarding youth has slowly begun to change. Years of advocacy and campaigning by youth-led organisations have had some key successes: including the World Conference on Youth in 2014, the creation of a United Nations Secretary General’s Envoy on Youth in 2013, and particularly the 2015 Amman Youth Declaration on Youth Peace and Security at a global conference of youth delegates. In 2015, these efforts were rewarded with the unanimous passage of UN Security Council Resolution 2250 on Youth, Peace and Security, which places youth and youth-led efforts firmly within the broader peace and security discourse. It is hoped, that it will enable them to more effectively be heard. It details three key pillars: the inclusion of youth in conflict resolution and peacebuilding; engaging youth to reduce the risk of radicalisation; and including youth in the creation of education and employment opportunities and civic participation. Since 2015 global engagement has grown, with high level action networks, programs, and public declarations contributing to what has come to be known as the YPS agenda. The YPS agenda has significant potential to open the space in which young people’s advocacy and action can be supported. The YPS agenda is not without concerns though; historically efforts towards participation or partnership of youth have tended to be tokenistic. The YPS agenda narrows the focus of issues confronting youth, emphasising securitisation rather than the productive potential. Moreover, there is limited existing work on the mechanisms by which young people can be most effectively engaged, despite the UNSC Resolution’s desire to “increase inclusive representation of youth in decision making at all levels”. As the recent YPS Progress Study (mandated by Resolution 2250) noted, young people’s efforts are “the connective tissue that bridges the silos of development, human rights, humanitarian affairs and peace and security, from the local to the global level”. There is potential for governments to engage with young people as active collaborators in responding to insecurity and violence; that so far is not meaningfully occurring. Although there has been slow progress in recognising young people as competent contributors, young people have long been working for peace and security. A recent survey of the field by the youth-led United Network of Youth Peacebuilders (UNOY) highlights the diversity of activities youth organisations undertake. It shows that including young people in peace and security initiatives can result in better gender outcomes, increased community security and more durable policy results. Other evidence from the Asia Pacific region shows, for example, that when space is created for young women’s leadership benefits follow for not only the young women but their communities also. However, young people’s contributions could be enhanced if governments like Australia took a lead in supporting their efforts. The UNOY survey found that despite the presence of the YPS agenda most youth-led organisations continue to operate with minimal funding, work in difficult and dangerous contexts, and face immense structural limitations for participation. Inclusion of young people could address these barriers and has the potential to harness the demographic dividend of this large youth generation to generate positive change. Although the youth population in Australia’s region is one of the largest in the world, Australia has failed to incorporate an attention to youth in its foreign policy. 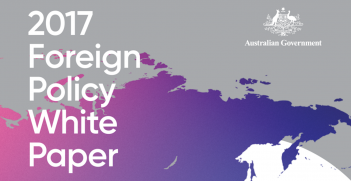 While several youth-led or youth-focused organisations submitted to last year’s Foreign Policy White Paper there is only one mention of youth. Notably, despite the public concern about youth radicalisation following the travel of several young Australians to join Islamic State, last year’s DFAT publication on “Developing Approaches to Countering Violent Extremism” fails to mention “youth” or “young” people at all. The engagement by Australia in attempting to incorporate gender into peace and security policy is laudable. Its “National Action Plan on Women, Peace and Security 2012-2019” aims to incorporate gender perspectives into all aspects of policy making. However, there are limits to the success of this, and the commitment to extend these rhetorical promises into actual practice. As the Fifth Report of the Annual Civil Society Dialogue on Women, Peace and Security (WPS) noted last year, more can be done going forward. While there are important reasons to be careful of conflating the WPS and YPS agendas, there is productive space for youth to be brought to these conversations about building durable peace and partnering to respond to violence and extremism in the region. The spaces opened up by advocates for WPS in Australia can be leveraged to include youth as participants and collaborators to strengthen Australia’s regional leadership in supporting youth-led actions for building peace and security. Australia is behind the global curve when it comes to taking young people seriously. The YPS Progress Study, released last month, makes three key recommendations in this space: to invest in young people’s capacities; to transform systems that reinforce exclusion; and to prioritise partnerships and collaborative actions. 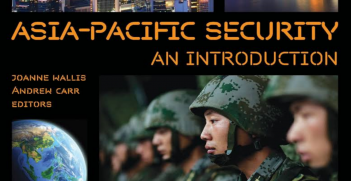 These findings were central to the the UN Security Council debate this week also. Young people aren’t waiting for governments to act. They are already working in small and large ways to engage and solve complex problems facing their communities. However, without support, the efforts of youth are constrained and it is a missed opportunity for Australia to take leadership on advancing youth as peacebuilders in the region. Helen Berents is a Lecturer in the School of Justice, Faculty of Law, at the Queensland University of Technology. She is on twitter @hmberents. Great Power Bargaining: Syria for Ukraine? Ever since Trump’s election, a Syria for Ukraine swap has been touted as a way of limiting Iran’s footprint in Syria. 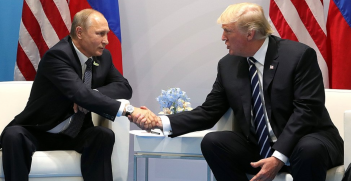 Will we see moves towards this when Trump and Putin meet at the G20 Summit?